The Blue Horse Repertory Company’s Acting School will offer a free introductory acting and improvisation workshop Saturday October 18. It is open to anyone 17 and older, no previous acting or improv experience necessary. The workshop is a prelude to the full length classes that will be offered at the Academy later this fall and a chance for interested parties to meet the instructors and get a taste of what the classes are all about. 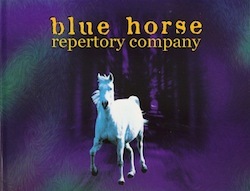 Instructors are members of The Blue Horse Repertory Company: Lora Lee Ecobelli (Technique and Scene study) and Nancy Rothman and Eddie Allen (improv). Click HERE. For more information or to register call: 845 721-2493 or send an email to: moc.p1556095650eresr1556095650oheul1556095650b@eel1556095650aroL1556095650.